One major problem I’ve had with the server we’ve been on for the past couple of months is the lag. Not low fps, but lag. People would constantly run around me, desync, and teleport back to where they were. This made playing very annoying for me especially. Also the long connection times didn’t help much either. I decided to get another server at our old host, to see how good they are now with the latest DayZ Mod versions. They had pretty good connectivity in the past, but they lack any real support, so it was risky even testing them again, but i went ahead and did it, and EVERYTHING SEEMS GREAT!  Only issues i’ve had so far is the server just not showing up in the new DayzCommander, but its fine. So, I have decided to switch hosts, the existing/old server will expire on August 9th, so you can plan on it til then. The new server has the same feature, if not more. Since we are at a capable host now, i have reneabled 4 hour days, 2 hour nights. Some people wanted nighttime, now they have it. I am working on getting things such as remove clothing from bodies working. I wasn’t able to reimport the old database to the new host due to some changes. I was however able to get the vehicles moved over, so if you had a base on the old server up until last night, it should be on the new server. Tents as well were copied over. come join the new server! less lag! Next Story Dayz Commander is back!